Andrew Kauzlaric is the Owner & Head Coach of Roufusport Appleton. 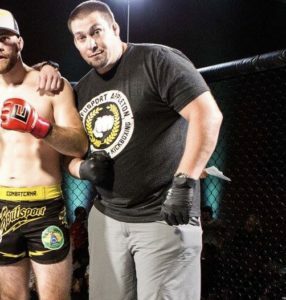 Andrew is an accomplished MMA Fighter who is currently ranked #3 in the state of WI and was former champion of the best MMA Promotion in the state. He has taken a small gym in Appleton to becoming the premier Mixed Martial Arts Academy in the Fox Valley, under the tutelage of legendary world champion Kickboxer Duke Roufus & 3rd Degree Black Belt Professor Daniel Wanderley. He truly has a passion for teaching and helping people conquer their goals and break through mental/physical barriers daily. He fell in love with martial arts at a young age, the profound effect it can have on your life and the confidence it can give you to have the skills to defend yourself in a real-life situation. His combined passion for teaching/coaching along with his passion for martial arts is how Roufusport Appleton was forged. 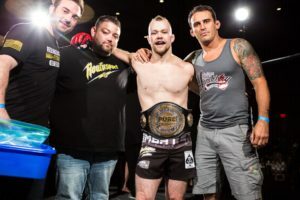 Andrew has spent the last few years training with some of the best fighters and martial artists in the world, along with training with the best fighters in the state and Midwest. He learns directly from some of the best coaches in the world at Roufusport in Milwaukee, so his knowledge and teachings come directly from the source! Chuck Grueber is the Head MMA Coach of Roufusport Appleton. Chuck has been in the MMA scene for decades, training with some of the best fighters & coaches in the world. Before joining Roufusport Appleton, Chuck has had many many years of training with different coaches/fighters that you may have heard of such as Randy Couture, Matt Hughes, Anthony “Rumble” Johnson, Eddie Bravo, Robert Drysdale, Gilbert Jamal Smith, Chris & Brian Camozzi, to name a few. Many years of Wrestling with Ray Yeager who was an NAIA All American from Edinboro University. Years of Kickboxing training with Methuselah “Lah” Thao who was an RFA Champion at one point, and many years of training with his personal friend Chad Holton who is a Brazilian Jiu Jitsu Black Belt underneath Robert Drysdale. Chuck is a retired Professional MMA Fighter and now focuses his efforts on the next generation of fighters at Roufusport Appleton. – 31 years of wrestling experience underneath Ken Popelka, who was an Olympic Greco Roman Alternate. – 20 years of Boxing experience under Professional Boxer Jhon Yost. – 16 years of Brazilian Jiu Jitsu experience, currently underneath Professor Daniel Wanderley. Nate is a current collegiate wrestler at UWO & is an assistant coach at AWA (Askren-Wrestling-Academy) Packerland in Green Bay. Nate brings a unique expertise of wrestling to the team, his years of traditional wrestling in High School & College but also his years of learning directly underneath Ben Askren (widely considered one of the best wrestlers in MMA today) and all of the other coaches at AWA! In Highschool, Nate was a 2x National Team Member in Greco & Freestyle and he was a two time state placer in Greco. 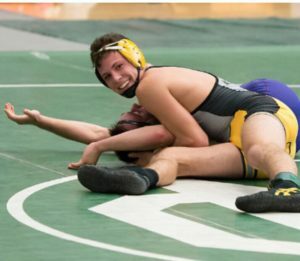 He has been a 2 year starter for UWO in college and in 2018 he led his team on pins! William started his martial arts career in Tae Kwon Do as a youth. He trained at Chay’s Tae Kwon Do Academy. In competition, Will won the Wisconsin State sparring competition and the Illinois State sparring competition, and he qualified and competed for the Junior Olympics. Later, as a young adult he began training in boxing with the Soaring Eagles Boxing Club. He went on to compete in Boxing and placed second in the Wisconsin State Golden Gloves tournament and won the sportsmanship award for 2006. His amateur boxing record stands at 6-2 with 3 wins by KO. He spent years training with the former IBF World Champion, Carlos Molina. 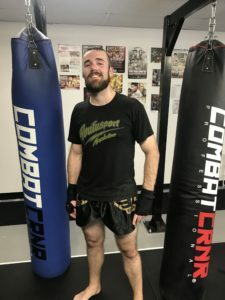 Will has now ventured into the Kickboxing / Muay Thai world and has fully dedicated himself to it for the last few years, now 3-0 in Amateur Kickboxing / Muay Thai. Will is a dedicated father and husband, his faith and family are very important to him. He loves working with kids/youth and being able to have a strong relationship with his students and to see their development of their skills is one of his biggest passions.